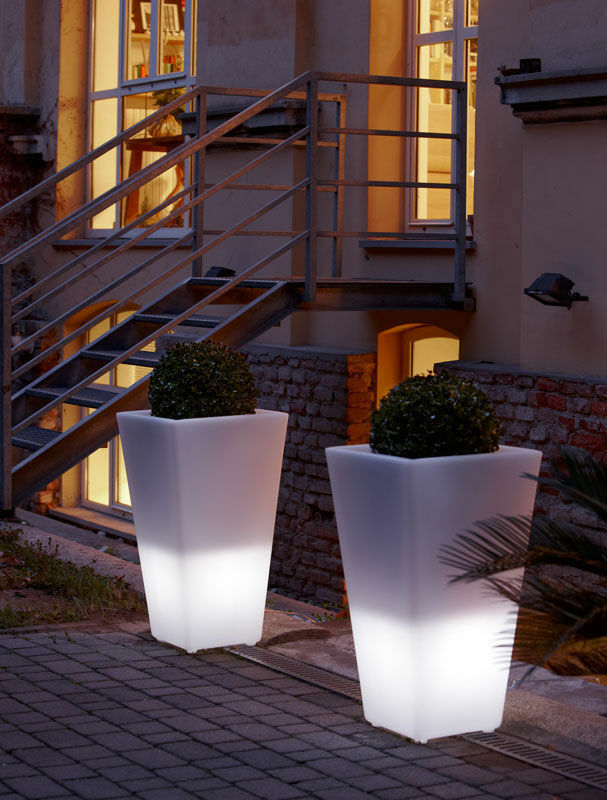 Y-Pot is a family of pots characterized by square base and the double wall, which also allows the luminous version. 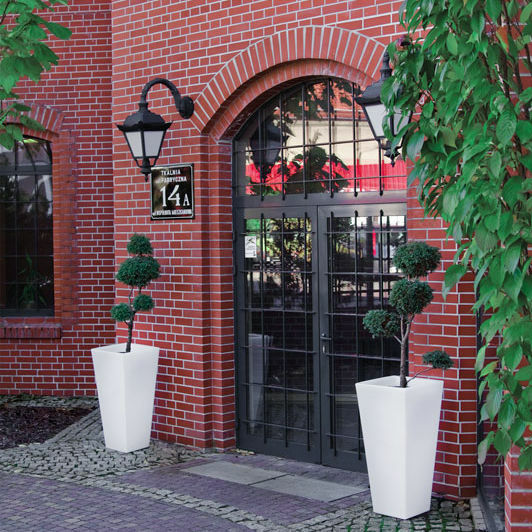 Elegant and refined, the Y-Pot family is ideal to all kind of furnishing, thanks to its linear and minimalist design. The pots of Y-Pot family are available in different dimensions, so they are suitable for small areas but also for big spaces. 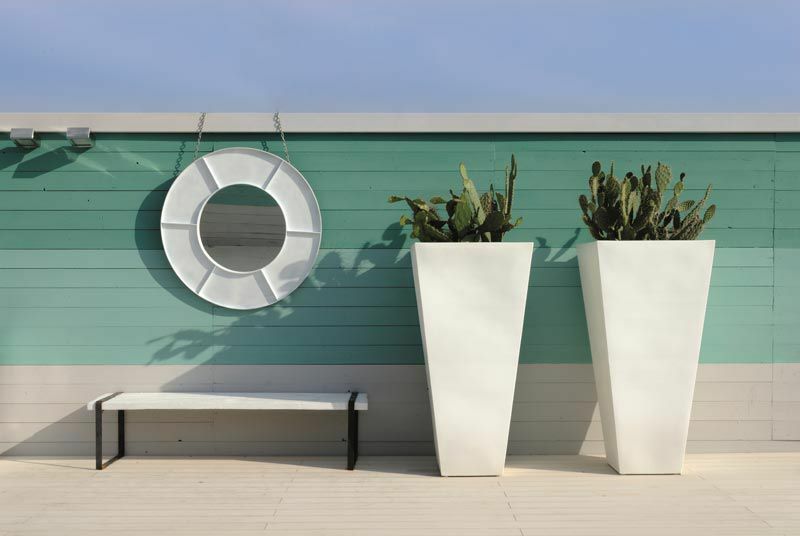 Depending on settings, Y-Pot can be a fun and colorful product in standard model or it could be more elegant and refined in lacquered version, ideal in unique and sophisticated settings. 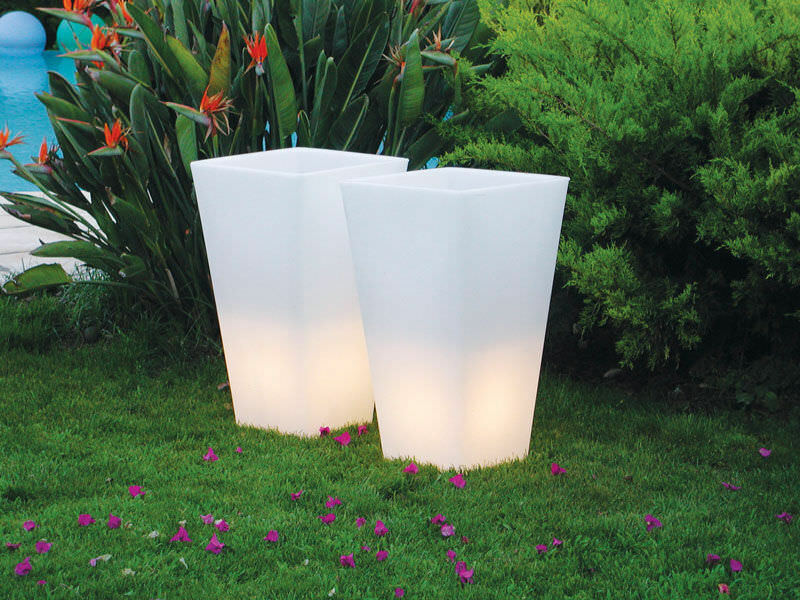 Suitable for indoor and outdoor use of private homes or contract. 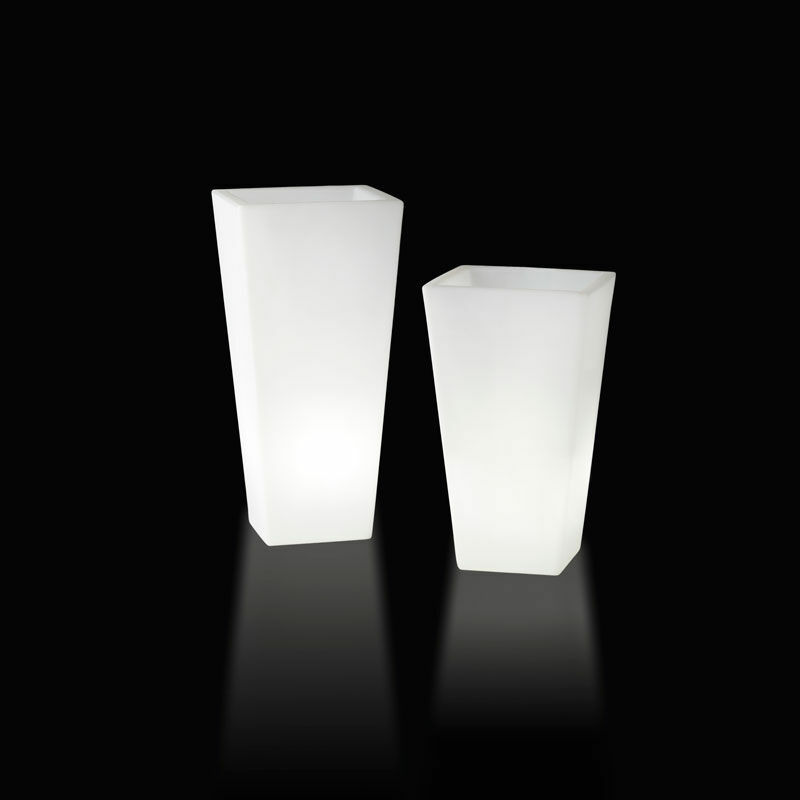 Every size is available in standard, lacquered and luminous version, except the smallest one, which is available in standard and lacquered version only.